I use to ride for these guys back in the day but it was a small company and we road what Thomas gave us so i never saved one. id like nos but good condition ones are fine. go sox! Joined: 21 Oct 2002 Posts: 1028 Location: Coeur D'Alene Id. well i rode for them in 97 untill thomas pulled the plug in 99 or 2000 i cant remember. i had them all brian chungs, chad kramers, john montesies, plus all the team decks but the one i want most is the ryan wilburn! my budy stormy just sent me a team deck and a kramer jawbreaker i also have some catalogs and a t shirt. im trying to learn this computer thing so when i do ill post the stuff i got. thanks bro i look foward to seeing what ya got peace. Hey crp76 - I just picked up a couple of NOS Torque decks from the late 70s and had a question about the laminated one. Do you know what company made those for Torque (or were they somehow pressing their own)? 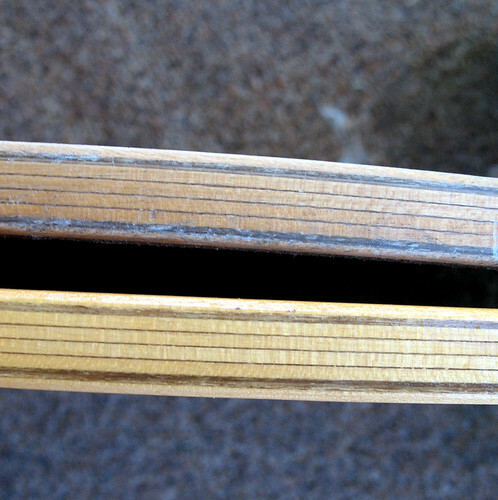 The reason I ask is b/c I have another deck with the exact same constructon (six plys of maple + two fibreglass plys) that is a complete mystery to me. 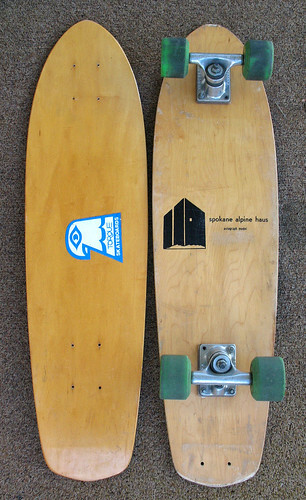 The mystery deck is one that was sold through a local skate shop here in Spokane (now long gone). It was a signature deck of one of our local "pro" skaters. I'd just love to know who made these decks! Just wondered if you had any insight that might help me solve this mystery. And thanks in advance if you do! 2 different companies and time frames. yep there was one from the 70s and the one im talkin about from the 90s witch was from atlanta and run by thomas taylor . sorry homie! bump i think they say. b u m to the p! you got dem tark bards? life is dirt.. dig it.